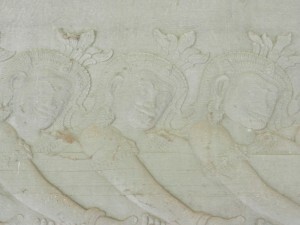 Angkor Wat’s southeastern wall has an image sculpted in its stone that’s one of Khmer art’s most famous art works. It’s 150 feet long–the Khmers made it to awe. 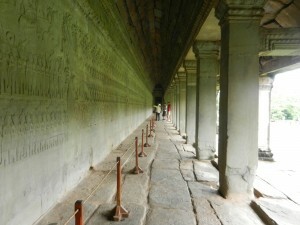 The frieze is of the central episode of a creation myth from India. A huge theme made even huger by the formal corridor that people walk through as they view it. 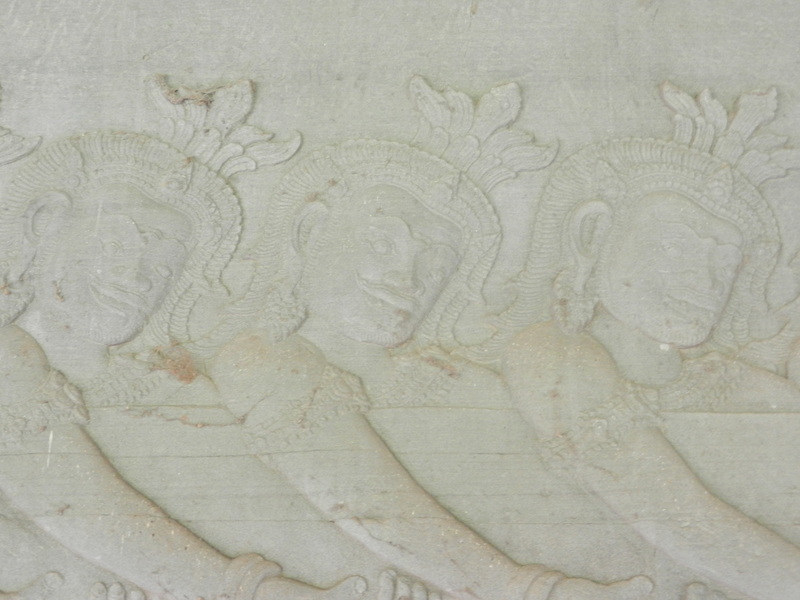 The builders of Angkor Wat saw this myth as key in their universe, and they wanted Angkor Wat’s visitors to as well. An ancient Indian text called the Bhagavata Purana says that in the universe’s beginning, the gods (devas) and demons (asuras) battled for amrita. This juice would allow them to become immortal–sort of like a blogger having 100 million readers. But they all tuckered out after a while and asked Vishnu for help. He came and ordered them to cooperate with each other. Each team grabbed one end of a giant 5 headed snake (naga) called Vasuki. Using the naga as a rope, they churned the Ocean of Milk. In the photo above, the asuras are giving it all they’ve got. Either Vishnu or Vasuki jolted them with energy. On the other side, the devas are muscling up too, but looking more refined. A dashing Vishnu is between both, facing the devas and directing them. 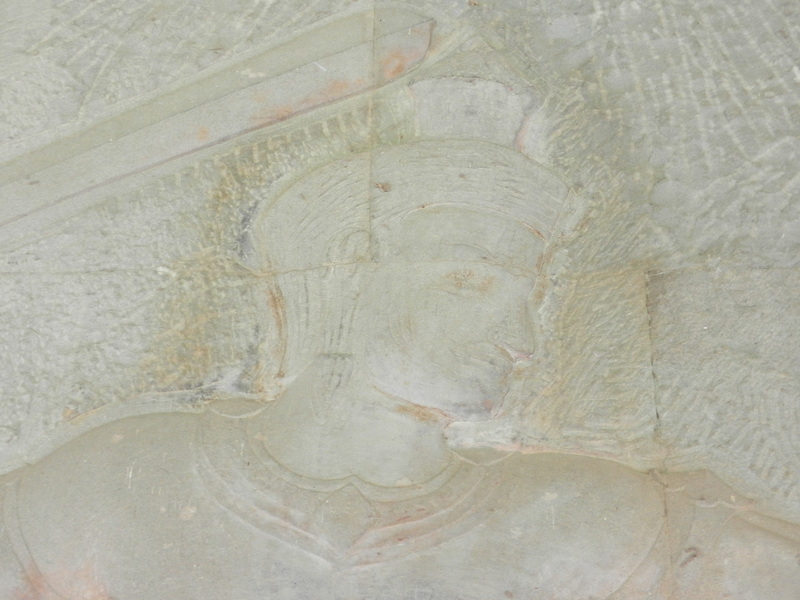 Many Khmer Civ specialists think that Angkor Wat’s builder, Suryavarman II, envisioned himself as Vishnu. 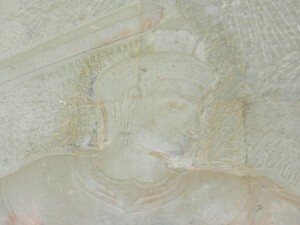 If so, he portrayed himself here as the creator of cosmic order. Did he look that good in real life, or were flatterers stroking his male ego? But a problem emerged which the gods didn’t envision. The mountian that they had wrapped the naga around as a pivot began to sink. 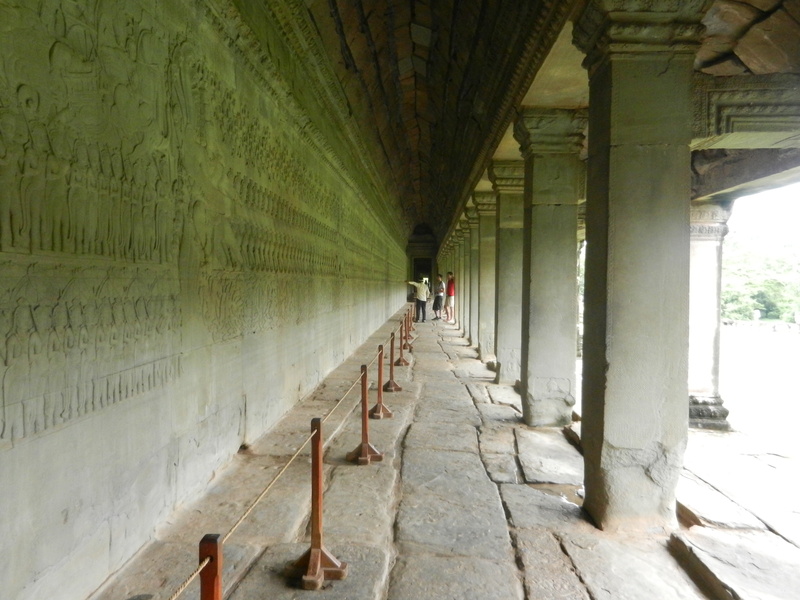 Indian and Khmer gods might look good, but they’re bad engineers. How did they get out of their mess and allow nature’s and culture’s wealth of forms to be created? 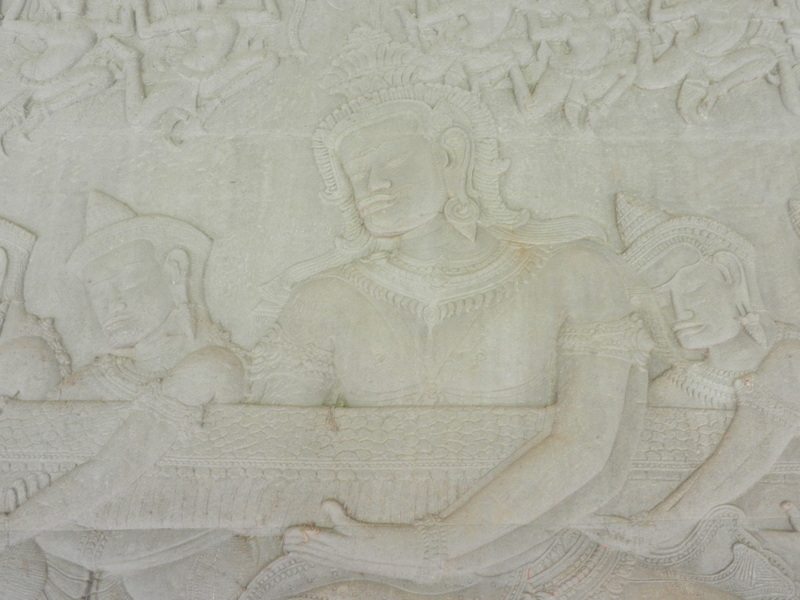 We’ll see in the next post on creation according to Angkor Wat.